What a sobering account this is of his personal experience in a Nazi concentration camp. The conditions described were, of course, horrible. The personal and psychological aspect that he talks through are very interesting and thought-provoking. What might any of us do when put under similar circumstances? Hopefully we never truly know. 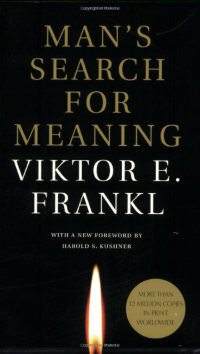 But knowing how to find true meaning in life now can help us in the present and in future episodes of extreme hardship.